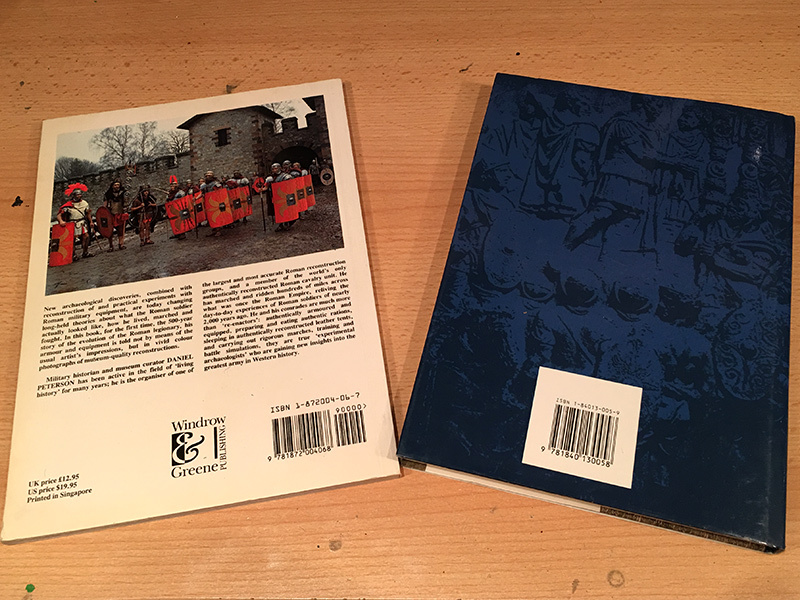 I picked up two books on the Roman Army from the second-hand department in my local bookshop this week. 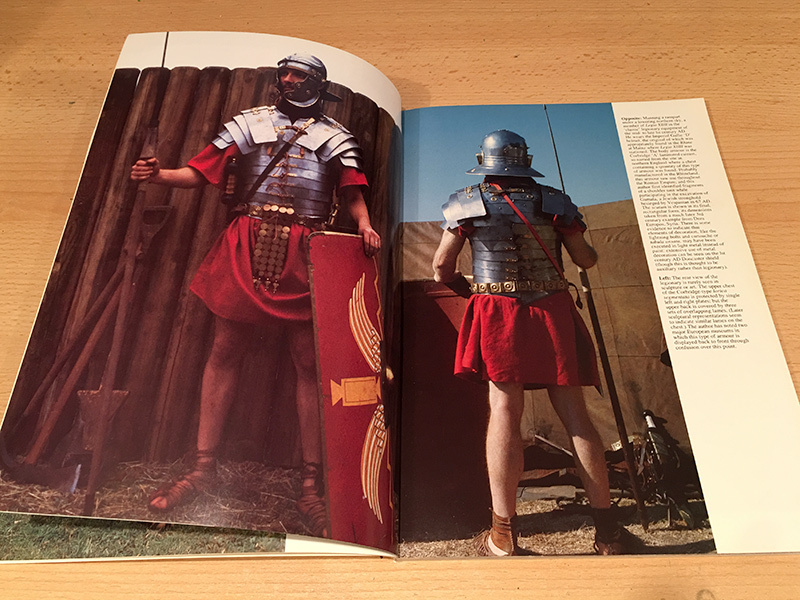 I am after some uniform resources for the Romans I’ve picked up since Salute 2017 and before ordering something from Amazon, I thought I’d see what my local book shop had. 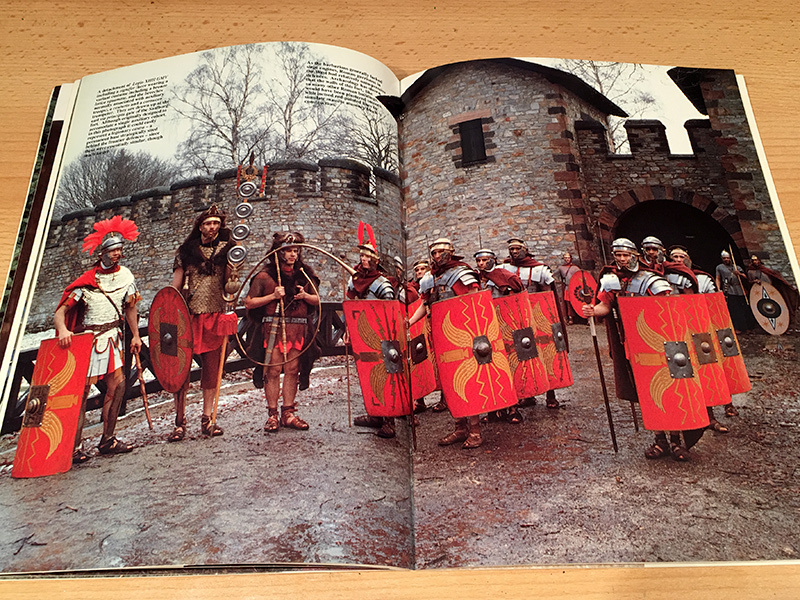 The first one was “The Roman Legions Recreated in Colour Photographs” by Daniel Peterson. Having photographed many Roam re-enactors at places like the English Heritage Festivals of History, and having talked to a few, I know these guys are pretty keen to be as authentic as possible, so I thin this will be a useful resource for uniform painting. 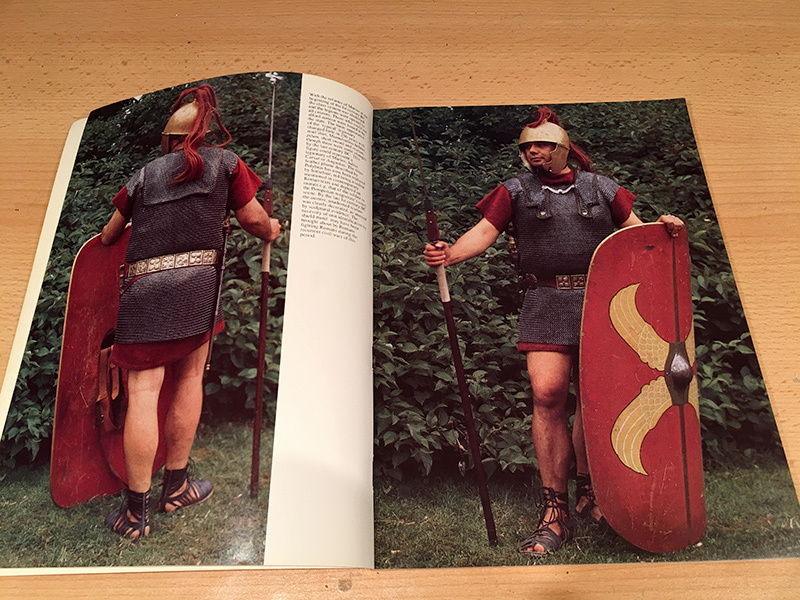 There are lots of details and photos about the Roman legionary and the armour and equipment used. Daniel Peterson is a military historian and museum curator and is described as the organiser of one of the largest and most accurate Roman reconstruction groups and a member of the world’s only authentically reconstructed Roman cavalry unit. 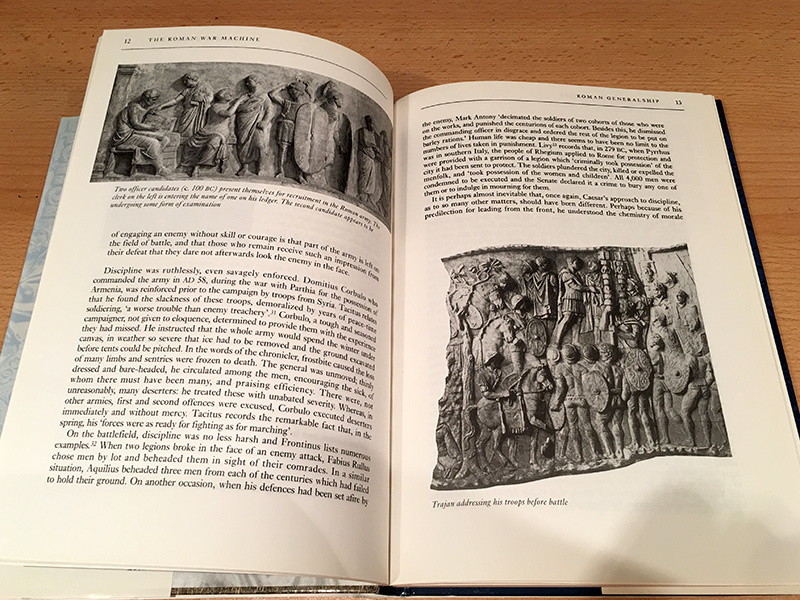 I expect he has had some unique access to reconstruction groups across Europe, many members of which feature in the photographs depicted in the book. It cost me a fiver. 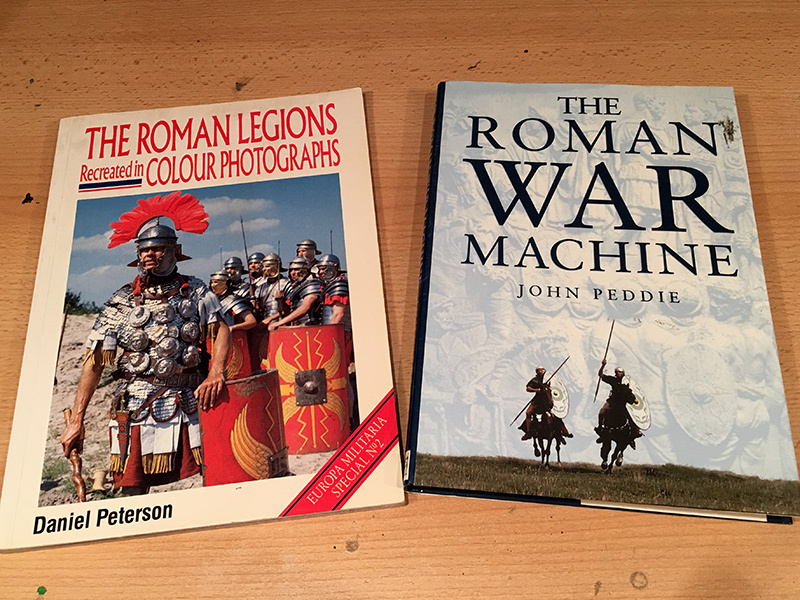 The second book is “The Roman War Machine” by John Peddie. 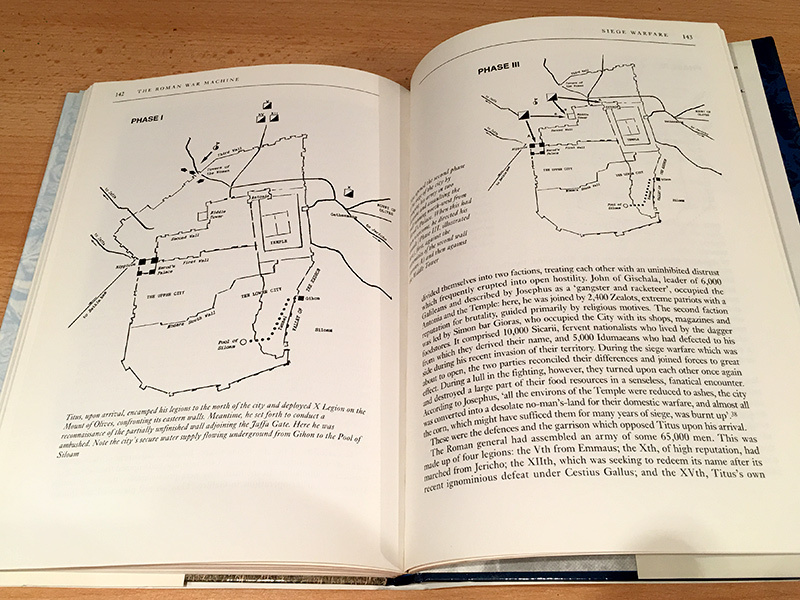 The author examines military logistics, supply, training and techniques across the history of the Roman army in various military campaigns. 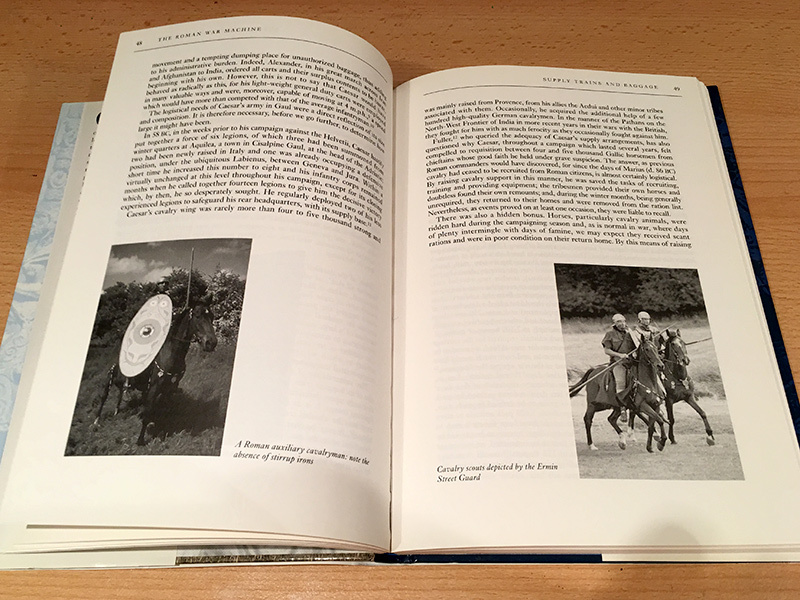 The book contains many black and white photographs and diagrams but is far more text-based than the book above.